DAY 19: Pumpkin Spice Pizza. In my first review, I asked what the acceptable limit to product pumpkin-ification was. At the time, the answer appeared to be butter. Unexpectedly, I ended up enjoying the product, so I decided to keep an open mind going forward. 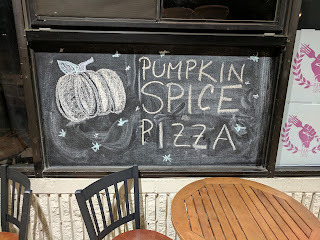 Over the past few days, several friends have sent me the same article about a New Jersey restaurant offering pumpkin spice pizza as a seasonal flavor for the fall. 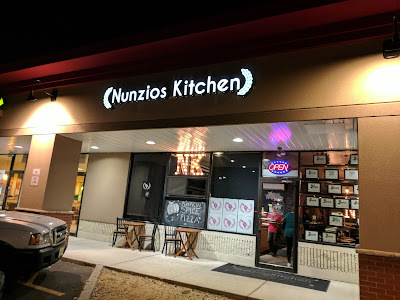 When I discovered that the restaurant (Nunzio’s) was on my way home, I knew it was meant to be. After a long day of work, I’m usually drained and dread my 90 minute drive home. Today, I was energized. As I got in my car and started my journey, I contemplated the idea of combining pumpkin spice and pizza. Pizza is one of my all-time favorite foods and an important part of my cultural identity as a New Jersey native. So naturally, I was hesitant. But I was sold once I read read about the recipe and the rave reviews Nunzio’s has earned for both their pizza and food. I’ve been burned by unique pumpkin spice products before, but this felt special. Walking up, I paused to admire the chalk drawing of a pumpkin that Nunzio’s uses to advertise the flavor. The restaurant is situated a nondescript strip mall in Sayreville, but is beautiful on the inside. There is the usual glass showcase of the day’s selection, but some not-so-usual flavors. 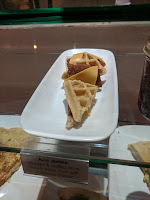 Margherita, Chicken & Waffles, Nutella - there were so many to choose from! But I was there for one thing only, so I ordered a slice of pumpkin spice pizza to stay. If you’re wondering, the seismic activity you felt a few hours ago was the rumble that emanated from my stomach when the plate was brought to my table. The slice was presented beautifully, and the aroma of the pumpkin coming off of the pizza was incredible. Breaking down the pie: it is regular pizza dough, with a sweet pumpkin “sauce”, ricotta cheese, walnuts, and fried zucchini, finished with a dusting of powdered sugar. Don’t freak out about the zucchini, trust me. It was time for the moment of truth. At first bite, the flavor popped and I was blown away by how well everything worked together. The pumpkin and ricotta mixed so elegantly and had a texture like velvet. The base wasn’t overly seasoned, so the pumpkin shone through in the taste. It was fantastic. The walnuts were a great addition, and gave it a nice crunch. The powdered sugar offered a pleasant sweetness that was just the right level. A mystery that I hope to one day solve is how they managed to pack in this much flavor into one slice and not have it feel heavy. If I had no self control, I probably could have eaten 4 slices without batting an eye (and not felt guilty about it). Now about that zucchini…It gave body to the slice. To explain what I mean, I’m going to have to ask you to first suppress your gag reflex. Without the zucchini, I think that the slice would have been lacking in “mouth feel”. To me, one of the jobs of the cheese in pizza is to provide a texture contrast to the sauce. But that wouldn’t work here because both the ricotta and pumpkin are smooth. The zucchini stepped in and it just works because the flavor is so gentle. You barely taste it, but you can feel it in the bite. This pizza chef is seriously brilliant. I kept eating, wondering if I would be able to find something to complain about. I couldn’t. 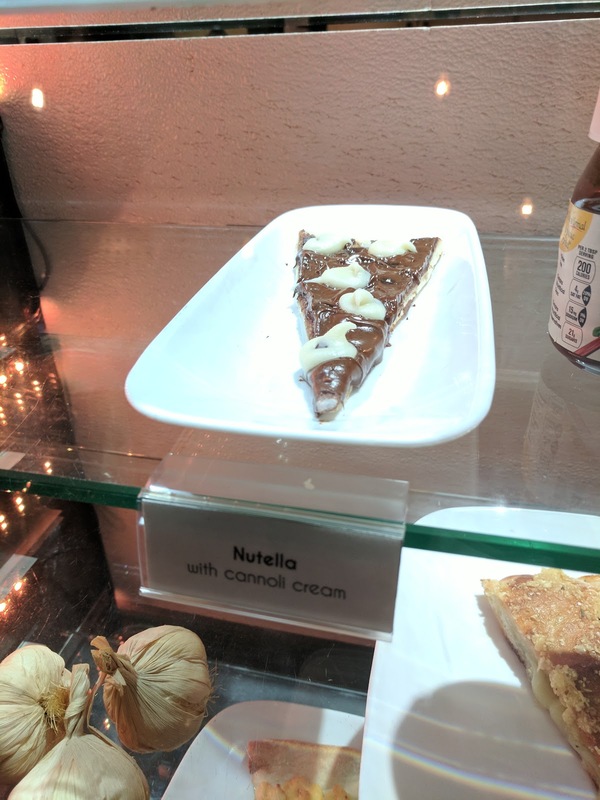 Honestly, the only problem was that I only ordered one slice. So I ordered two to go (one for me and one “for my sister”). While planning this month, I joked about pumpkin spice “pizza” with friends. I only recently warmed to the idea and even drafted my own recipe. But that was before I heard about Nunzio’s. After this, I’ve resolved to leave it to the professionals because I don’t think I could ever make something quite this delicious. Since 6 pumpkins is reserved for grandma, Nunzio’s pumpkin spice pizza gets 5 /5 pumpkins, a bonus set of praise hand emoji, and the distinction of being the standard by which all future products will be measured. DAY 16: Going, going, scone. DAY 8: Canno-oh you didn't. DAY 4: These aren't your grandma's English Muffins. DAY 3: Do we really Choba-need this? DAY 1: Pumpkin Spice Butter. Have we gone too far? Season 2, Episode 14: Don’t toss these cookies! Season 2, Episode 14: Don't toss these cookies! I feel like “onomatopoeia” is one of those words that everyone knows but many people don’t actually know what it means. And most importantly for today’s review… CRUNCH. So now that you’ve learned, you won’t ever forget. At least you better not, or I’ll be really disappointed. Too Much Pumpkin Spice: Season 1 Recap & Awards! Season 1 was a lot of fun, and I got the chance to try a whole slew of interesting products. Below you will find my awards/final rankings for last season. On to Season 2! Best in ShowNunzio’s Pumpkin Spice Pizza I think it’s no surprise here that the creation out of Nunzio’s Kitchen finished #1 last year. It just hit on all parts and inspired me to write a review over 1,000 words long (seriously) to capture the feelings it made me feel. 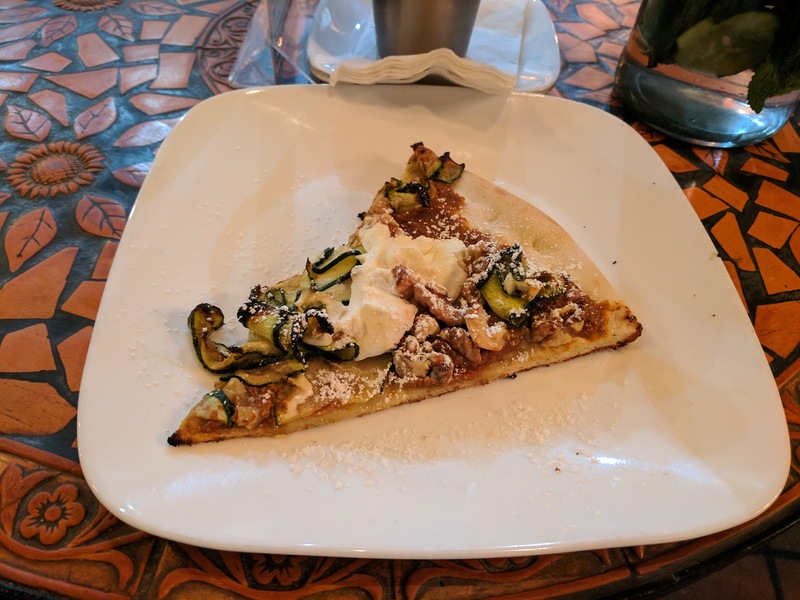 Read more here: DAY 19: Pumpkin Spice Pizza. DAY 30: Cheeri-Oh My Goodness. 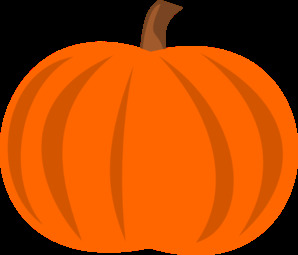 A blog for pumpkins, about pumpkins, by pumpkins. Join me as I attempt to taste test a new pumpkin product(s) every day throughout the month of October.